Former Sudanese president Abdulrahman Suwareddahab is to visit Gaza Strip by mid-May, Abdulsalam Siyam, the secretary of the Palestinian government in Gaza, said on Monday. Suwareddahab, who is currently the chairman of the board of trustees of the Islamic Dawa (Call) organization, had taken over power in the Sudan in April 1985 during a popular intifada in his capacity as the highest ranking commanding officer in the Sudanese army. He gave up power one year later to the elected government led by Al-Sadeq Al-Mahdi then resigned from politics and endorsed his time to Islamic Dawa. 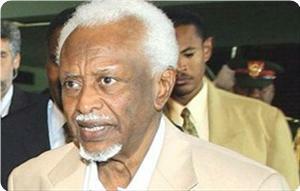 Suwareddahab, born in 1935, served as chief of staff then defense minister in the reign of former Sudanese president Jafar Nimeiri. Bahraini parliament speaker Sheikh Khalifa Al-Dahrani arrives in the Gaza Strip on Wednesday at the head of a parliamentary delegation on a three-day visit to the Strip. Majed Abu Murad, the head of the Palestinian legislative council’s information department, told Quds Press that PLC first deputy speaker Dr. Ahmed Bahar would head the reception team at the Rafah border terminal. 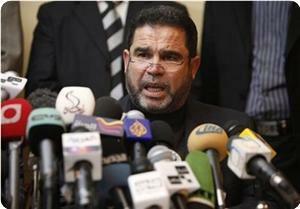 He said that a press conference would be held at the terminal before proceeding to the PLC premises in Gaza city. Abu Murad said that the delegates would meet with officials and parliamentarians in addition to attending a number of events. 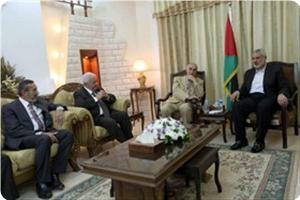 A PLC delegation during a visit to Manama almost a year ago, had invited Dahrani to visit Gaza. The Bahraini delegation’s arrival would coincide with a visit by renowned Egyptian propagator and head of the international union of Muslim scholars, Dr. Yousef Al-Qaradawi, to the coastal enclave. Chinese President Xi Jin Ping Monday reiterated during a meeting with President Mahmoud Abbas his country’s support for the establishment of a sovereign Palestinian state. Xi told Abbas, who started Sunday a 3-day state visit to China, that the Palestinian cause must become a priority and that the Chinese people’s support for the Palestinians is sincere and heartily. “China will, as always, support the just cause of the Palestinian people,” he said. 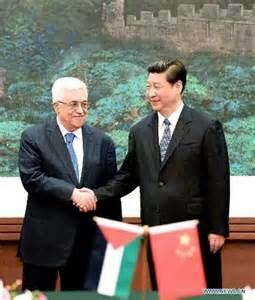 Xi presented a proposal for resolving the Palestinian question and ensuring the future of the peace process. He said that the path to follow should be an independent Palestinian state and peaceful co-existence between Palestine and Israel. Xi emphasized that the establishment of a sovereign and independent state on the basis of the 1967 borders and with East Jerusalem as its capital is Palestinians inalienable right. He stressed that negotiations should be viewed as the only path to peace between Palestine and Israel, affirming that the priority is to stop settlement activities, end settler violence against civilians, end Gaza blockade and solve the issue of Palestinian prisoners. The principle of land for peace must be sustained, said Xi, and the international community must provide guarantees to ensure the progress of the peace process as well as boost assistance in fields of human resources training and economic development. 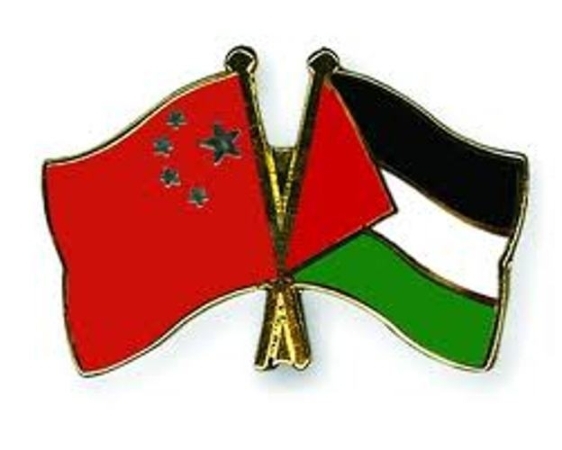 In the presence of Abbas and Xi, the governments of Palestine and China signed economic and technical cooperation agreement and another cultural and educational one. Abbas also met with Chinese Prime Minister Li Keqiang and discussed bilateral relations and latest developments in the region. Dr. Salah Bardawil, a Hamas leader, said on Monday that there were no real efforts on the ground to achieve national reconciliation. He told Quds Press that the purported discussions on reconciliation were merely theoretical and a reflection of the Palestinian people’s aspiration for unity. Bardawil attributed this situation to the PA’s wagering on negotiations with the Israeli occupation authority. Reconciliation does not go in harmony with negotiations with the IOA especially at the current stage when Israel was trying to extract whatever concessions it could achieve from the Palestinian people, the Hamas leader said. Shifting to another issue, Bardawil said that frequenting the Aqsa mosque is a kind of Jihad and resistance. The Hamas leader renewed his movement’s belief that resistance is the means toward restoring rights, adding that the Palestinian people were struggling and would continue to fight in order to attain their rights. Hamas leader Salah Bardawil warned that the visit of the PA President Mahmoud Abbas to China serves Israel more than the Palestinian cause. Bardawil said that Abbas's visit to China which coincides with the Israeli Prime Minister's visit to the country, may be aimed at activating the economic normalization between Israel and China. 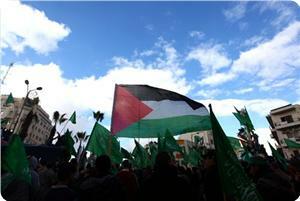 He demanded in statements to Quds Press the Chinese leadership to "continue to support the Palestinian right." The Hamas official also called on China to not equate between the oppressed and the oppressor, and said: "China has been known over its modern history for its support for the Palestinian cause. However, we fear today that its economic interests with the occupation may drive it to favor the Zionist entity." The Palestinian leader stated that the PA is encouraging China to move in this direction, through the secret negotiations, and stressed that the occupation is using the Palestinians as a bridge to strengthen its economic relations with China. Palestinian premier in Gaza Ismail Haneyya has affirmed that reconciliation was a national duty and there was no backtracking on it. Haneyya, who was receiving a delegation of independent figures in his office on Sunday, said that the Cairo agreement in this regard should be implemented without further delay. The chief delegate, Munib Al-Masri, reiterated the same demand of implementing the agreement the soonest without any amendments. He told a press conference after the meeting that consultations should start immediately on the formation of the new national unity government that would prepare for general elections. 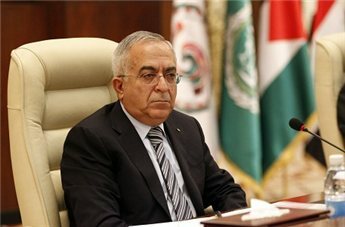 Caretaker prime minister Salam Fayyad on Saturday denied criticizing the Palestinian Authority, a day after an interview published in The New York Times quoted him calling the Palestinian leadership a failure, official news agency Wafa reported. "The statements in the article are just journalist Roger Cohen's personal impressions, and certainly not the words of Fayyad, who did not make any statements or conduct interviews for the New York Times or any other newspaper or agency since his resignation," a statement from Fayyad's office read. Roger Cohen's article, published Friday, directly quotes Fayyad as saying that the Palestinian Authority is broke, the Palestinian leadership is a failure and Fatah will break down. "Our story is a story of failed leadership, from way early on," the former prime minister said in the interview. "It is incredible that the fate of the Palestinian people has been in the hands of leaders so entirely casual, so guided by spur-of-the-moment decisions, without seriousness. We don't strategize, we cut deals in a tactical way and we hold ourselves hostage to our own rhetoric." Fayyad added in the interview that Israel's occupation remained the biggest problem, and that his state-building efforts and transformation of the security situation were not reciprocated by Israeli measures. "The Israelis have not rolled back the occupation gene. Let's make sure our Bedouin population in the Jordan Valley has access to drinking water before we discuss final arrangements. This is a right-to-life issue for Palestinians." Fayyad's office reportedly asked that the article not be published as an interview with the premier, Wafa added. Fayyad resigned on April 13 and is acting as caretaker prime minister, but will leave office completely in three to four weeks, he told the New York Times. The ex-premier pinned his resignation on difficulties with President Mahmoud Abbas' Fatah party, as well as Israeli intransigence. 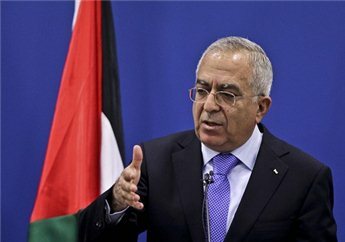 The Palestinian Authority is broke, the Palestinian leadership is a failure and Fatah will "break down," resigned premier Salam Fayyad said in an interview published Friday in The New York Times. "Our story is a story of failed leadership, from way early on," the former prime minister said. Fayyad resigned on April 13 and is acting as caretaker prime minister, but will leave office completely in three to four weeks, he told the US newspaper. Fayyad pinned his resignation on difficulties with President Mahmoud Abbas' Fatah party, as well as Israeli intransigence. 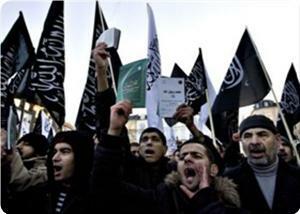 "This party, Fatah, is going to break down, there is so much disenchantment," Fayyad said. "Students have lost 35 days this year through strikes. We are broke. The status quo is not sustainable." Fayyad said Israel's occupation remained the biggest problem, and that his state-building efforts and transformation of the security situation were not reciprocated by Israeli measures. Fayyad urged the US to ask Benjamin Netanyahu what the Israeli prime minister means by a Palestinian state, if he insists Israel must keep settlement blocs and Jerusalem and keep control of the Jordan Valley. "A state of leftovers is not going to do it," Fayyad said. Meanwhile, Fayyad suggested Netanyahu should address the Israelis: "Yes, it is true we have a contract with God Almighty who gave us the land, but there happen to be 4.4 million other people on this land who want to exercise their right to self-determination, so perhaps we can adjust the divine contract a little." Fayyad described the renewed US push for a resumption of peace talks as "high-risk,"
"Israel says no this, no that, and it’s taken as a foregone conclusion," he said. "There's nothing to underpin the US initiative. So how can you invest in it?" Meanwhile, Fatah and Hamas must reconcile. "We are not going to have a state unless we are united first." As for his future, Fayyad did not rule out a return to politics. "I will reflect and if elections come, as they must because they are vital, I will see how best to take part in them." He added: "I resigned my job, that’s all. I am not resigned, even if it pains me additionally when lack of progress is self-inflicted. I will die without changing my mind that we Palestinians can prove the doubters wrong." Palestinian Prime Minister Ismail Haniyeh stressed on Hamas movement's rejection to the Arab initiative for peace with the Israeli occupation, and to the idea of land swap. This came during Haniyeh's reception of the solidarity convoys that arrived to Gaza and the two members of the Egyptian Shura Council Mohammed Saad and Kamal al-Din Nur al-Din, at his home in al-Shati camp in Gaza on Thursday evening. "Our borders are the historic land of Palestine. 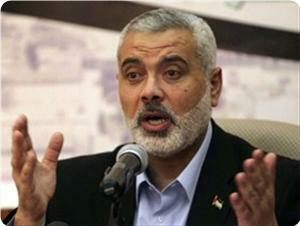 The land belongs to us, and we refuse the Arab initiative," Haniyeh said. He stressed that the new Arab position that supports the exchange of land represents an unacceptable waiver and encourages the occupation to continue the settlement activity. Gaza Premier called on the Palestinian people to adhere to the option of resistance as it represents the strategic choice. "What was taken by force can only be restored by force. Negotiations can never be the way towards the liberalization," he said. 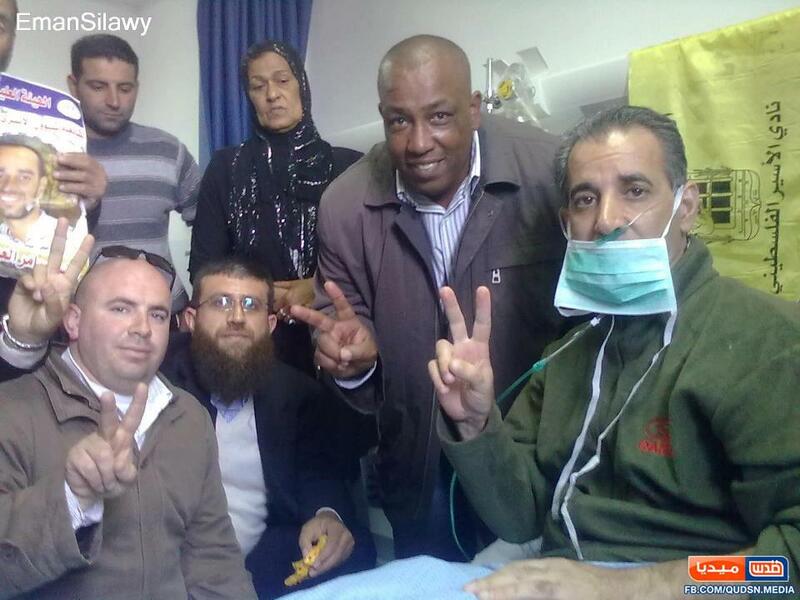 Israel has given Muhammad al-Taj a permit to be treated in a Jerusalem hospital, after releasing him from prison on health grounds. Israel pardoned al-Taj, who had carried out two long-term hunger strikes, in April after a serious deterioration in his health. He suffers from pulmonary fibrosis and heart hypertrophy. Israel had previously banned al-Taj from Jerusalem and it is the first time the former prisoner has been allowed a permit to enter the city, the Palestine Center for Prisoner Studies said. Several specialist Palestinian hospitals are in East Jerusalem but Palestinians need permission from Israel to access them. Relatives of prisoners on Thursday criticized a Palestinian Authority decision to stop paying fines imposed by Israeli courts. The PA Ministry of Prisoner Affairs recently announced it would stop paying fines issued by Israeli courts on June 1, to stop Israel benefiting from Palestinian public money. "This decision is disastrous," said the wife of prisoner Ahmad al-Mughrabi, from Duheisha refugee camp in Bethlehem. The PA should pay prisoners' fines, she told Ma'an. "They sacrificed for their homeland, and in return they should be given even a small reward. A day outside jail is better than 10 inside." The mother of Firas Mousa, a detainee from al-Khader near Bethlehem, said the decision means families will be forced to pay fines. "Even if the ministry refused to pay a fine on behalf of my son, as a mother I wouldn't accept that my son stay longer in jail, so I will pay the fine myself," she said. But Qadura Fares, head of the Palestinian Prisoners Society, urged families not to pay fines "to the occupation that fights them with their own money." He said it would be better for detainees to "serve more years in jail than pay money to the occupation." The ministry was paying 13 million shekels ($3.65 million) a year to Israel, spending up to 4,000 shekels on each fine, he added. 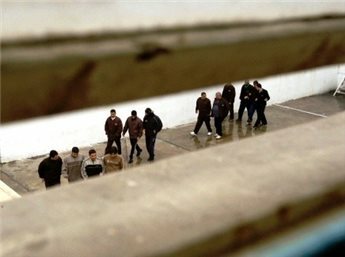 The prisoners ministry decided to stop paying fines because they strengthen the Israeli treasury and do not help Palestinians' interests, Fares said. "Until when will we have to pay the price of the gunshot which kills us?" Hamas leader Husam Badran said that the occupation is in trouble, especially after the victory achieved by the resistance in the Shale Stones war in the Gaza Strip. The liberated prisoner and deportee to Qatar Badran said in remarks to Quds Press on Thursday that the land swap initiative comes "in continuation of the policy of free waivers offered by the official Palestinian side under an Arab cover." 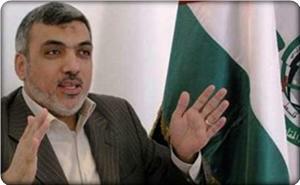 He stressed that Hamas movement rejects any position based on giving up the land of Palestine. The Hamas leader expressed surprise at this proposal, offered "as a gift to the occupation," which insists on its positions rejecting to give the Palestinians their internationally agreed rights. "This initiative gives cover to settlement activity in the West Bank, as the idea of ​​land swap has been introduced to solve the problem of the large settlement blocs which the occupation refuses to demolish under any circumstances." Badran added that the land swap initiative "despite its seriousness, will not change anything on the ground." "Our people will not accept it in any way. 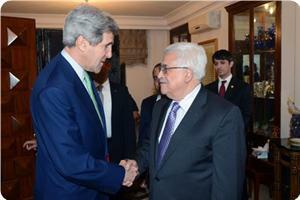 The occupation won't also accept it, and will insist on more waivers," he said. Senior Hamas official Salah Al-Bardawil said his Movement rejects any solution ceding one inch of the Palestinian land and believe that Palestine is not to be shared with the Israeli occupation. Bardawil told Quds Press that the renewed move made by the Arab League to revive the peace process and its acceptance of land swaps are part of the Arab peace initiative which has been utterly rejected by Hamas since its emergence in 2002. "The position of the Hamas Movement towards the Arab peace initiative has been clear since it started, that is, it has never accepted it and seen it as a waiver of the right of refugees to return and as recognition of the occupation," Badawil stated. "We expected that the Arab League would withdraw this initiative, but we were surprised by this new overture which is based on swapping lands," he added. "Neither this initiative nor any other will be successful since they go against the Palestinian people's rights," he emphasized. 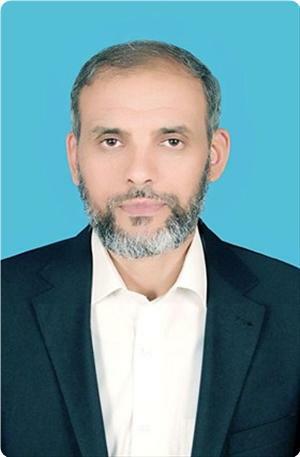 Member of Hamas's political bureau Ezzat Al-Resheq denounced the Palestinian authority for promising the US not to take legal action against Israel at international courts and bodies as a goodwill gesture towards the peace process. Resheq made his remarks in response to de facto PA foreign minister Riyadh Al-Maleki who stated recently that the PA pledged to US secretary of state Johan Kerry to freeze its efforts to join UN institutions and halt its intentions to file complaints with international organizations against Israel in order to revive the peace talks. 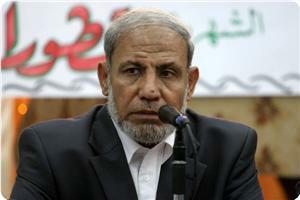 The Hamas official condemned such position as political disorientation and a waiver of the Palestinian people's rights. "How come the people whose land is under occupation, their holy sites are violated and they are exposed every day to killing and arrest start to make goodwill gestures towards the occupation?" Resheq rhetorically questioned. "There is no option for our people but to be united and devise a national strategy based on steadfastness and resistance in all its forms in order to confront the occupation, and its Judaization and settlement policies because the rights are taken by force and not begged," the Hamas official emphasized. For his part, Yousuf Rizqa, the political advisor of the Palestinian premier, castigated the political pledges made by the PA to the US and described it as shameful. "It is unfortunate that the PA leadership keeps hogging the Palestinian decision-making and act far from the will of the Palestinian people and without the participation of the factions operating on the ground," Rizqa stressed in a press release. "This position only reflects a group of people monopolizing the authority and the representation of the people, and contradicts the popular and factional vision, which the Palestinian people dominantly share," the political advisor said. He warned it is a grave mistake to use goodwill gestures in the management of the political conflict with the Israeli occupation. The director of Ahrar Center for Prisoners' Studies, Fouad Khuffash, considered the PA Foreign Minister Riyad al-Malki's statements regarding the PA pledges not to turn to the International Criminal Court (ICC) to give chance for peace negotiations as disavowal of the Palestinian blood. The minister's statements shocked all the human rights activists who worked on documenting the Israeli escalated crimes especially the killing of the two captives Arafat Jaradat under torture and Maysara Abu Hamdiya due to the medical negligence in Israeli jails, he said. Khuffash doubted the validity of the PA officials' conferences and calls to prosecute the occupation, asking whether there were PA pledges to US president during his visit to the occupied territories or it was only a manipulation. There is no sense for granting Palestine non-Member Observer State status in the United Nations unless it is used to prosecute the occupation, he added. "How can goodwill gestures be made towards the Israeli continued crimes against Palestinian people and properties? He asked, calling on the PA to retract this Initiative and to prosecute the occupation for its daily crimes. Dr. Mousa Abu Marzouk, member of the Hamas political bureau, has strongly slammed the waivers made by the Arab ministerial delegation to the United States regarding an initiative of land swap. Abu Marzouk said on Wednesday in a statement posted on his Facebook page that the issue of Palestine is an Arab and Islamic issue, but no one is entitled to give up any inch of it. "We refuse to exchange land because all the land belongs to us," he said, stressing that the recent waivers might bring in new pressures and more waivers. Salah al-Khawaja, an expert on issues of settlements and the wall in the occupied West Bank rejected the Arab League endorsement of land swaps between Israel and the occupied Palestinian territories, considering it violation of international law. Khawaja told Quds Press on Wednesday that international law does not allow any state to swap lands before the liberation and the establishment of an independent state. He pointed out that the principle of "land swap" is like a new Arab waiver to the USA, as it gives legitimacy to the occupation to continue its settlement activity in the West Bank and Jerusalem. Khawaja condemned the Arab silence regarding Israel's persistent policy of destruction and killing of Palestinian people. Kerry welcomed in a meeting with journalists the Arab League's decision to accept the exchange of lands between Israel and the Palestinians. The leader in the Islamic Resistance Movement Hamas, Mahmoud Zahar, said that the Israeli escalation against the Gaza Strip is not an isolated incident but is part of the Israeli daily aggressions. The resistance will respond to the occupation in a timely manner, he said on his Facebook page on Wednesday, adding that there should be an Arab understanding of our position. Deputy Secretary of the Fatah Central Committee Jibril Rajoub has called for stronger ties between Iran and the Palestinian Fatah movement. Rajoub made the remarks in a meeting with the Iranian Ambassador to Lebanon Ghazanfar Roknabadi in the Lebanese capital, Beirut. 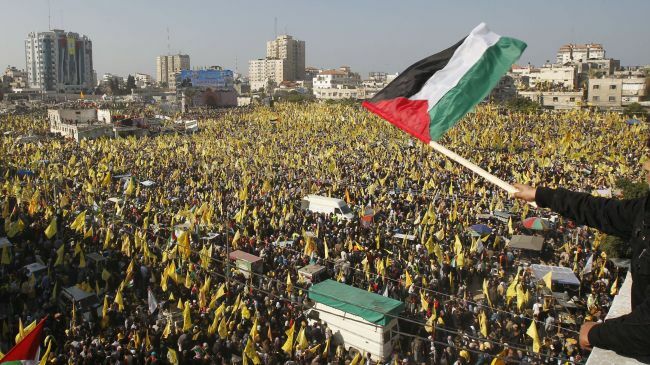 The senior Fatah official expressed hope that Palestinians would witness the liberation of all Palestinian lands with the continuous support of the Islamic Republic and other supporters of Palestine. 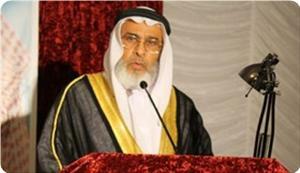 Commenting on the Syrian unrest, Rajoub said diplomacy is the only solution to the crisis in the Arab country. He described Syria as the most important front against Israel, and expressed hope that the unrest in Syria would be settled soon. The Iranian ambassador, for his part, reiterated the Islamic Republic’s full support for the Palestinian cause and resistance. Iran’s unwavering support for the Palestinian resistance against the Zionist regime of Israel has always been underlined by Leader of the Islamic Revolution Ayatollah Seyyed Ali Khamenei and President Mahmoud Ahmadinejad, Roknabadi concluded. 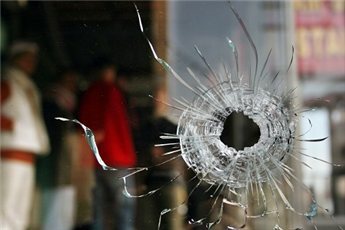 Unidentified assailants attacked the car of a Fatah official in Gaza overnight Tuesday, locals said. Witnesses told Ma'an that masked men entered the garage of Fatah leader Khaled Musa and damaged his car. Hamas police said they have opened an investigation into the incident, the third of its kind since April. On Monday, assailants planted a 500-gram explosive device targeting the car of Fatah official Monther al-Bardawil in Rafah. Witnesses told Ma'an the explosion shook the neighborhood. 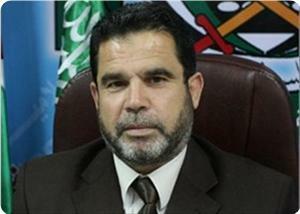 Earlier in April, assailants set fire to the car of Fatah's secretary-general in the Hamas-run Gaza Strip. Mahmoud Hussein's car was torched outside his home in Rafah on April 18.